Siemens’ new alliance could mean big things for eMeter. Siemens has teamed up with Wasion Group, a Chinese smart meter manufacturer, to develop the market for meter data management solutions in China. The joint venture, in which Siemens is a majority shareholder, will allow Siemens access to the growing Chinese market. Growth in MDM is expected to grow in the double digits in China, as tens of millions of smart meters are installed. "By joining forces with Wasion, we will significantly advance our business with meter data management solutions on the Chinese market. We are contributing our expertise and our experience with the EnergyIP meter data management system, which has become an integral part of our portfolio following our acquisition of eMeter," said Jan Mrosik, CEO of the Smart Grid Division in the Siemens Infrastructure & Cities Sector. Siemens acquired eMeter late in 2011, and for eMeter one of the appeals was the prospect of tapping into Siemens’ international network. Earlier this summer, eMeter landed a contract with CPFL Energia, the largest utility not owned by the government in Brazil. At the time, Chris King, chief regulatory officer for eMeter, said that being a Siemens business gave the MDM company an obvious boost. That sales capacity could increase exponentially with a domestic partner in the Chinese market. In 2010, Wasion held 12 percent of the meter share in China, according to GTM Research. For Wasion, the partnership will help move its product beyond China. "According to our joint venture, Wasion can sell its smart power, water and gas metering products to countries outside China through the global sales network of Siemens," said Ji Wei, Chairman of the Board of Directors of Wasion Group. 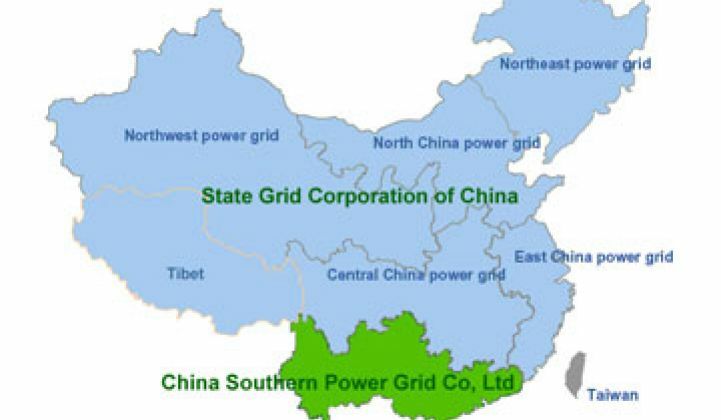 The meter maker is one of the market leaders, with most of the meters purchased by State Grid Corporation of China and China Southern Grid. China will invest nearly $250 billion into its grid in the next five years, according to GTM Research’s report, The Smart Grid in Asia, 2012-2016, Markets, Technologies and Strategies. The two technology companies have been working together in a partnership since May 2010, and in December 2011 signed a supply agreement that laid the groundwork for the joint venture. "For us, the joint venture is an additional milestone on our way to becoming one of the leading global suppliers of solutions for smart grids,” added Mrosik. “Collection and analysis of consumption and network data is considered to be one of the keys to the intelligent management of supply networks of the future."